Discussion in 'Electric Instruments' started by rugerpc, Sep 26, 2013. Hello everyone , thanks for the add......I'm Jerry and I own a 2000 singlecut...my go to guitar . I gotta make three posts , so the is #3 lol. That isn't a MODCAT number. 2000 is right around when the system started, so yours might pre-date it. 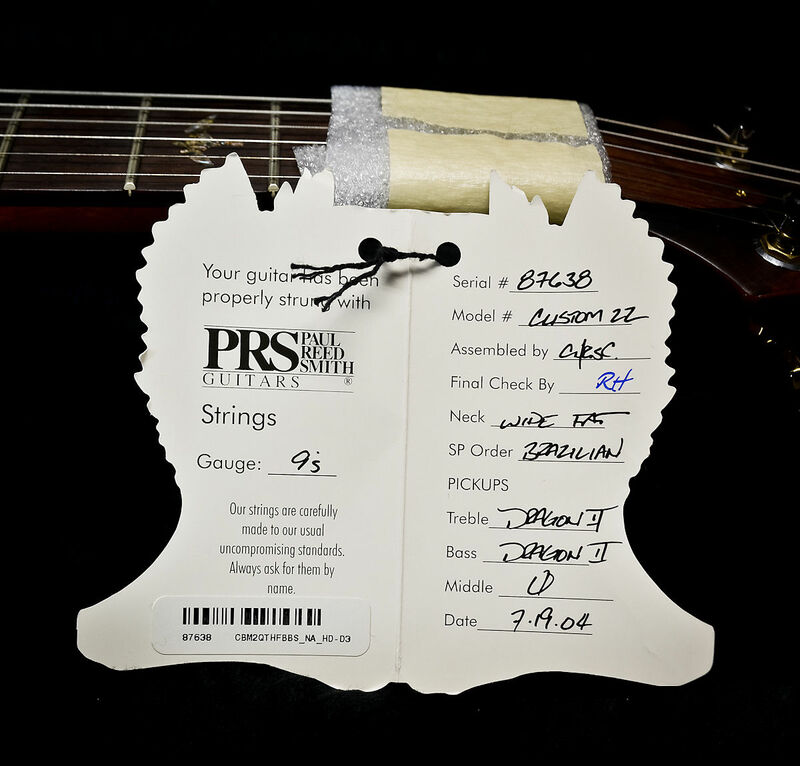 If you do have one, the MODCAT will be in the bridge pickup rout and they used stick a label with it on the case. Stoptail 22 , Thanks so much , great information, appreciate your time ! Stupid question and it may have been answered ..... The MODCAT number is the same number listed on the sticker attached to the case? Hey fellas, I cannot locate my MOD CAT see below. My guitar is a Wood Library CU24 Floyd. That same ITEM number: WL0805_U3 appears on a sticker on the back of the hang tag. Wood Library models don’t use the MODCAT system. Hello, my guitar is a 2016 McCarty 10-Top Limited Edition. The fretboard is gaboon ebony with matching headstock. Color is the rare Charcoal Blue Burst. The serial # is (16 233324). Thank you very much for working hard on the MODCATS and I hope to have one for mine one day! parallyze "What became of subtlety?" Or is only input needed from models up to 2013? Typed mine in the automatic decoder to give it a whirl. Thought the info might be useful in case someone wanted to update the information. Artist Package Custom 24-08. 85/15 MT pickups, Gen 3 trem. Everything else is accurate. Hmmmmmm......The link in the original post can't seem to decode my model. It can get everything except for the "CB" in the beginning. I am assuming it is just "Custom Briazilian"....but the decoder doesn't come up with it.